The Aga Khan Trust for Culture believes its restoration of the 90-acre park in the capital can be a model for other heritage and green areas in Indian cities. Back in 2011, when Delhi had hoped to become a UNESCO-declared world heritage city, the renowned landscape architect Mohammad Shaheer set about creating a park that would form the northern end of a heritage corridor running all the way through the capital down to Mehrauli, the oldest part of Delhi where the Qutub Minar looms over everything else. Coronation Park was to be a new sort of space, featuring an obelisk marking King George V’s Indian coronation at that spot in 1911, as well as statues of British men taken from other parts of the city after independence. Shaheer introduced new elements, including an amphitheatre, an interpretation centre and a large open area punctuated by gentle, red sandstone follies, that were meant to make the park an inviting area that paid tribute to its colonial history – this was the site of three Delhi Durbars – without being beholden to it. Today, it lies unfinished. The interpretation centre is empty, the plaques below the statues are blank, the grass is patchy, and you are more likely to find children playing cricket than making use of the amphitheatre. This neglect has been attributed both to the apathy of the local authorities, as well as to the Bharatiya Janata Party-led central government’s last-minute decision in 2015 to withdraw Delhi’s world heritage city bid – a development variously ascribed to its contempt for the city’s Central Asian rulers or to prevent UNESCO rules from standing in the way of urban redevelopment. Half complete and falling into disrepair, Coronation Park tells you plenty about how the capital treats its open spaces. Shaheer died in 2015, which meant he never got a chance to see the completion of Sunder Nursery, another effort designed by him that opened to the public this week, offering a different vision for how parks could be maintained. 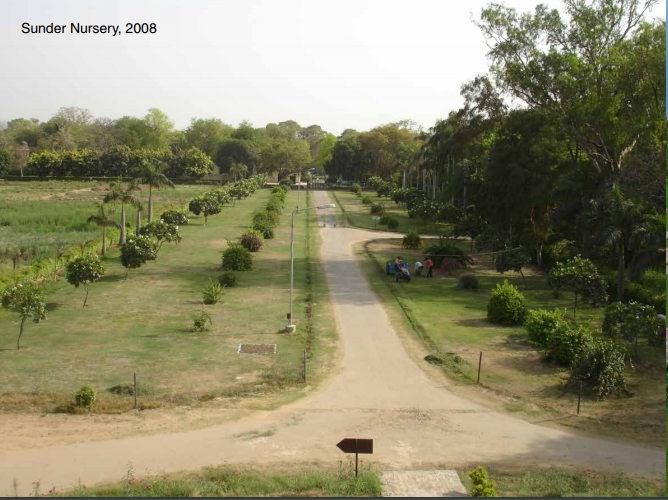 In 2007, a memorandum to redevelop Sunder Nursery was signed by the Aga Khan Trust for Culture, a global Ismaili institution, with Delhi’s Central Public Works Department, the Archaeological Survey of India and the South Delhi Municipal Corporation. 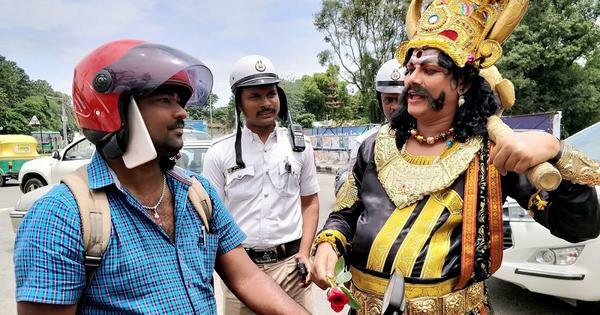 A decade of work has resulted in a 90-acre park dotted with historical monuments, 280 tree species, 36 butterfly species, two amphitheatres, a bonsai enclosure, a peafowl zone and plenty more. Unlike Coronation Park, Sunder Nursery sits on the edge of the posh New Delhi, where green spaces tend to get more funds and attention. The magnificent Humayun’s Tomb, a 16th century precursor to the Taj Mahal, sits adjacent to the nursery, while its western boundary abuts another green space called Millennium Park. To its north is a medieval sarai, a kind of inn for travellers, that is now part of the Delhi zoo, and just past that is the Purana Qila, a large fort that in its current form was built by Sher Shah Suri in the 16th century but might actually have been a much older site. 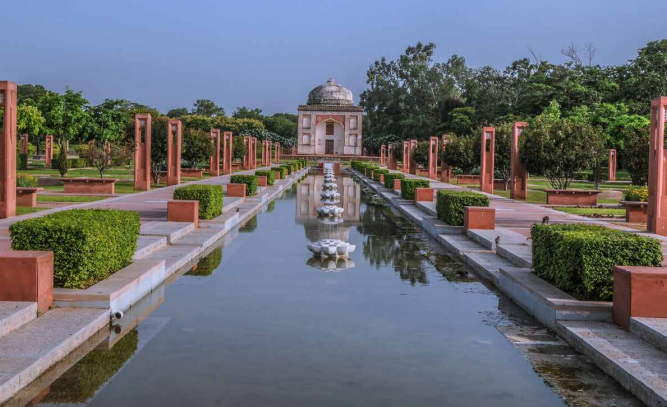 Put together, these parks form a large, green, somewhat open historical zone that the Aga Khan Trust says would measure over 600 acres and might allow Delhi to have its own Central Park. 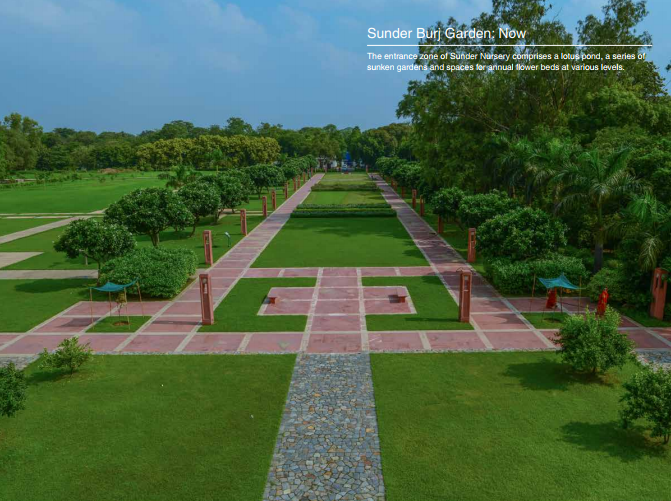 Like that large space in New York, Sunder Nursery will be run by a Management Trust that is effectively a public-private partnership between the various Delhi authorities and the Aga Khan Trust. The park could easily not have existed at all. In the run-up to the 2010 Commonwealth Games, there was a proposal to build a road right through Sunder Nursery to connect National Highway 24 to Lodhi Road, which marks the edge of New Delhi, so that there would be easier access to the renovated Jawaharlal Nehru Stadium. 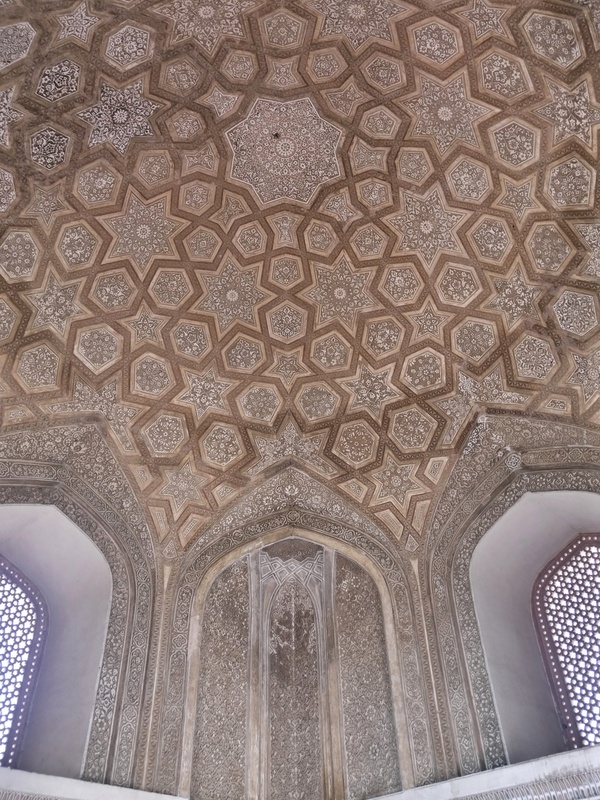 In some ways, this would have been in keeping with the area’s history: The Grand Trunk Road once ran through here, between Humayun’s Tomb and the Purana Qila, and the Delhi zoo’s Azimganj sarai was built to be on that ancient route. Over time, the area, like the monuments surrounding it fell into disrepair, until the British announced in 1911 – at the Delhi Durbar in Coronation Park – that they would be shifting the capital from Calcutta to Delhi. Sydney Percy-Lancaster, the second of a dynasty of three Englishmen who dedicated their lives to horticulture in India, is said to have laid out Sunder Nursery, in part to experiment with the trees that would later be planted along the avenues of New Delhi. In the 1940s, the Central Public Works Department acquired the nursery and continued to use it for field trials of different tree species. As a public space it has always been overshadowed by the architectural beauty of the adjacent Humayun’s Tomb, whichis one of the most-visited monuments in the city. 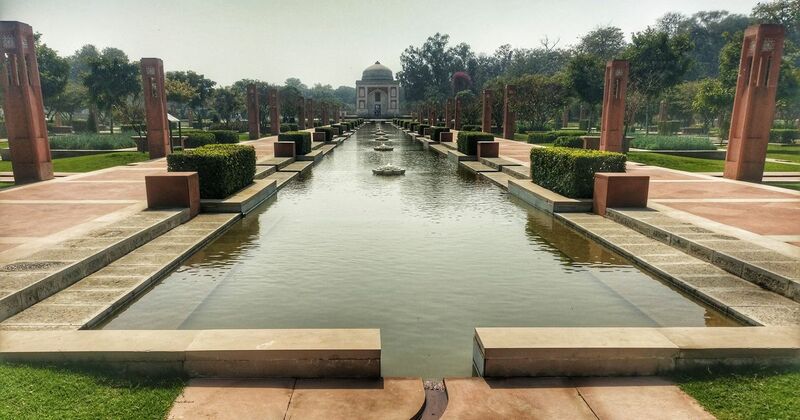 But for the residents of Delhi, this meant it was often a quiet refuge – a large green space filled with birds, flowers and butterflies that neither offered the procedural hurdles mandated before getting into the Rashtrapati Bhavan’s Mughal Gardens nor the crowds that throng the Lodi Gardens’ lawns. So when the government decided it was going to build a road through the nursery, there was outrage and spirited pushback from environmentalists and conservationists and ultimately the idea was abandoned. 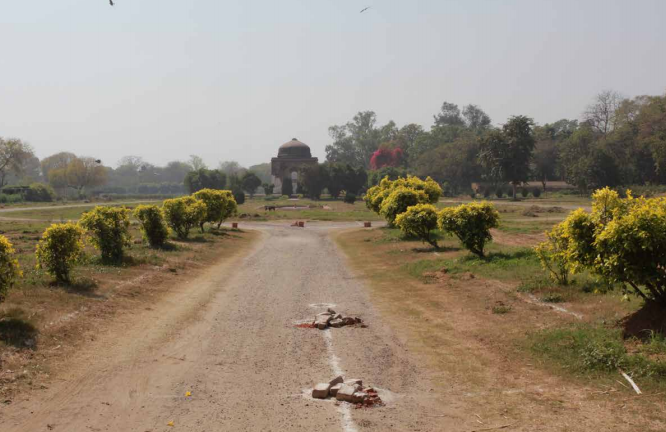 Today, instead of that road, the central vista of the restored Sunder Nursery – from the entrance, past a series of flower beds on to a 16th century tomb, followed by a canal that leads to a lake and the wall of the sarai – follows the path of the old Grand Trunk Road. Shaheer and the Aga Khan Trust made deliberate efforts for this to be seen as a public park, one that is built for people to actually use. The nursery beds that give the park its name are still in place, but now there are also two amphitheatres that Nanda said would be expected to be used by performers from the neighbouring Nizamuddin Basti in the cooler months. The trust’s hand-out specifically marks out a large maidan for “winter picnics” as well as a 20-acre micro-habitat zone that serves as an educational resource, “showcasing plants of the ridge, riverine and marshy landscapes that were once found in Delhi” to “attract the 500,000 school children who visit the adjoining Humayun’s Tomb annually”. In the 1950s, a botanist is said to have donated a huge bonsai collection to the CPWD, and this has now been given a formal, protected zone in the park, near a fenced area meant for peafowl, who are otherwise harassed by stray dogs. In the Central Asian style, the main zone features gardens within gardens, some sunken, and all including water either in the form of pools or running canals. The park also features 15 historical monuments – “double the number in Lodi Gardens,” Nanda made it a point to add – including a couple of domed tombs that have had their interiors beautifully restored. For now, much of the newly restored portions are pristine, though conversations on a walk conducted by the Aga Khan Trust to showcase the park quickly turned to one question: how will the custodians preserve the structures and lawns from picnickers and visitors hoping to tell their world about their love through wall scratches? Beyond this central zone, the park is a little wilder, with unrestored ruins and a boundary wall with the zoo that Nanda said they hope to transform, so that visitors will eventually be able to travel uninterrupted from Humayun’s Tomb all the way to Purana Qila. Because the park sits right on the edge of New Delhi and right next to Humayun’s Tomb, it was always unlikely that it would face the same fate as Shaheer’s Coronation Park. 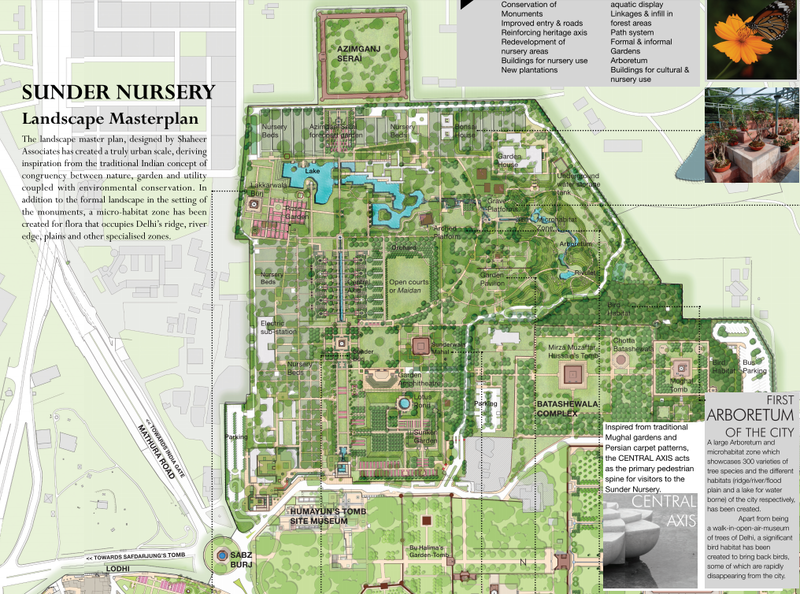 But the management model – not just relying on local authorities but also a private partner – makes Sunder Nursery a different sort of experiment, one that Nanda hopes will make it more important than just a popular place for Delhi’s residents to visit.